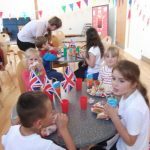 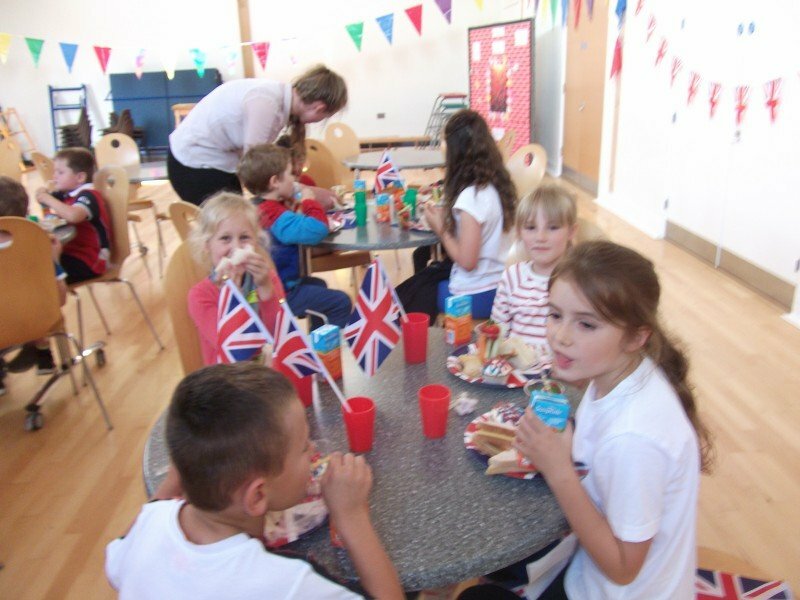 Children and staff dressed in red, white and blue and enjoyed a picnic lunch to celebrate the Queen’s 90th Birthday. 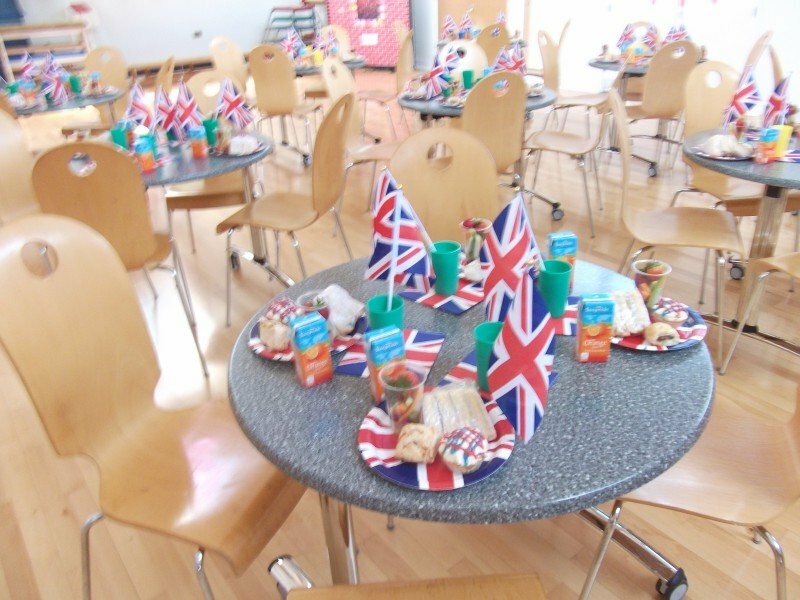 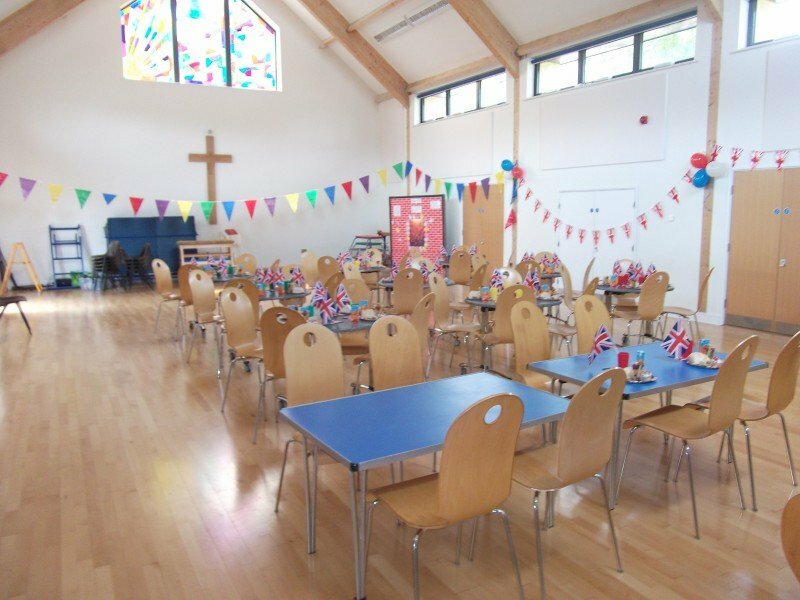 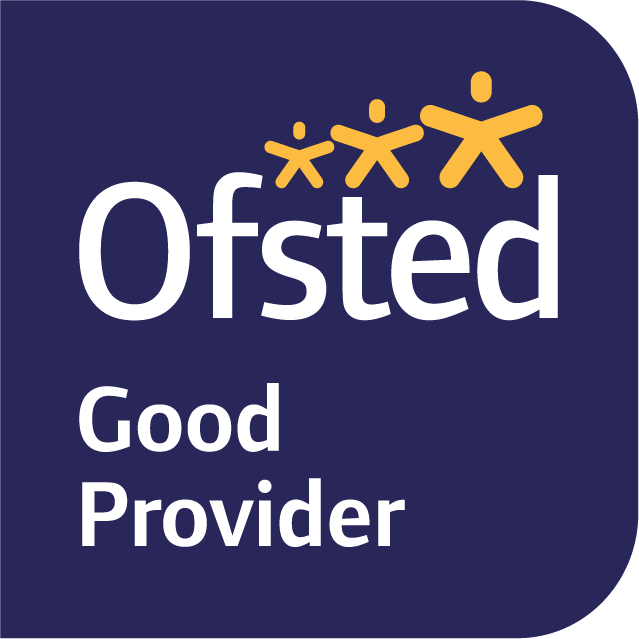 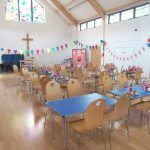 FOSMs decorated the school hall with buntin, balloons and flags on each table. 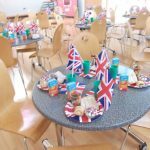 The lunches themselves were suitably ‘royal’ tableware, specially decorated fairy cakes and sandwiches to mark the occasion.